Enter the Sacred Portal and get instant access to our 38 page Sacred Practices handbook as well as access to all of our Audios of the exercises for you to follow along to! 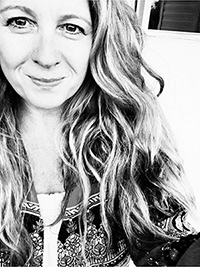 Cathy Mines, Director of Wellness at Reach Yoga and founder of The United Hearts of Allies project. Cathy asks us to make a commitment to read this book and join the movement, allowing ourselves to be ignited in our passion to live our most authentic lives. 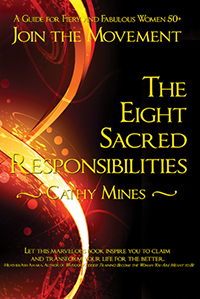 She makes a bold request of her readers to hold her accountable to the Eight Sacred Responsibilities and makes the same request of the reader to be held accountable and take responsibility for their own personal pursuit of a fabulous Third Act. It is Cathy’s mission through her brand ‘Reach Yoga Lifestyle’ to end unnecessary stress in our lives, by calling us into a lifestyle that thrives on laughter, healthy relationships, creativity, kindness and a desire to live to our full potential.